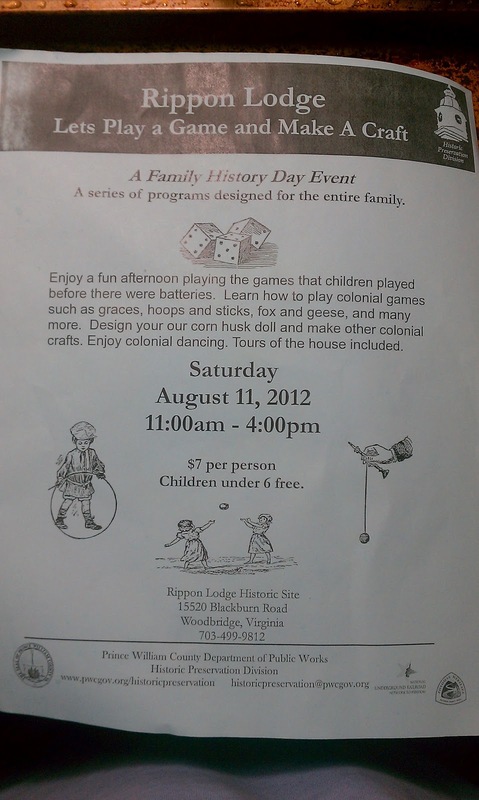 Join Rippon Lodge to play a game and make a craft this Saturday, August 11th. $7 per person, kids 6 and under are free. 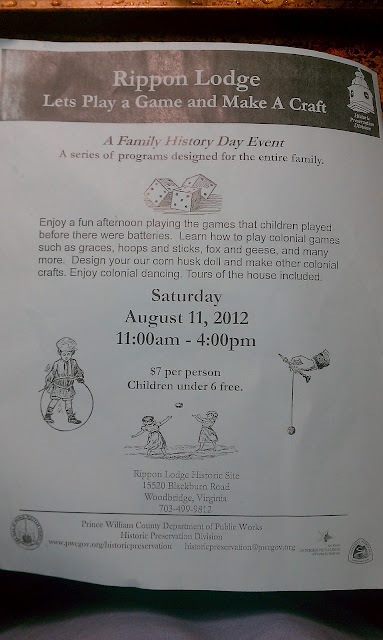 Rippon Lodge is located at 15520 Blackburn Road in Woodbridge.